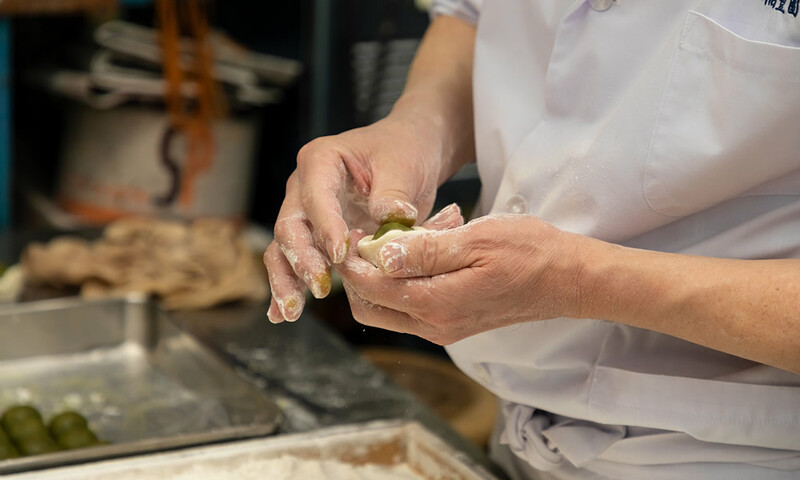 The Tohoen family business in the Hida Takayama neighborhood has been operating for over 110 years. 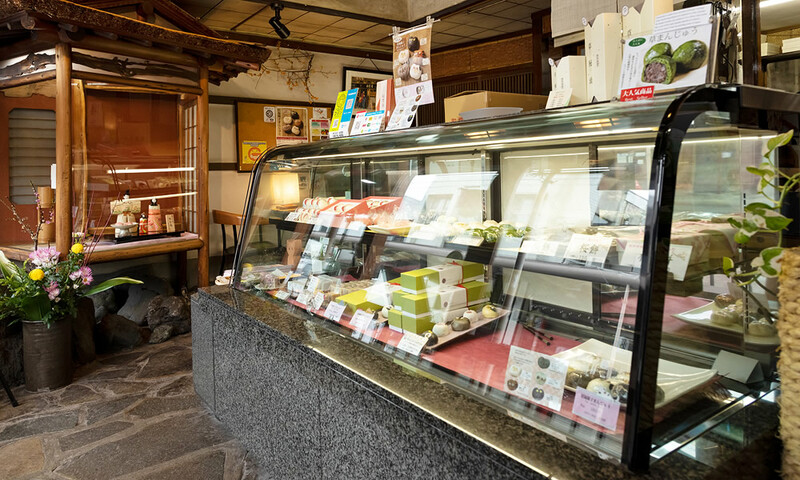 Our collection of traditional sweets go hand in hand with the Japanese culture, its people and its climate. Here in Japan, we have 4 distinct seasons and our desserts emulate and celebrate the change of these seasons. As soon as the green of the mountains turn bright, animals and nature rise from their slumbers. Trout's leap in the rivers and bugs buzz all around and when you spot the red dragonflies and hear the cicadas cries, summer is almost over. Under the clear, wide skies, huge rice paddies are spread like a large carpets and their harvest bring prosperity and nourishment to the table. When the crickets cease chirping and the snow bugs take off, the sun will fall like a slippery drop and the dance of the dead leaves will soon change to snow and a long winter will follow. Our duty is to be able to offer you sweets that embody the essence and flavor of each season. For example, the snow on a pine tree in winter or the popular cherry blossoms in spring, fireworks and fireflies in the summer and fallen leaves and chestnuts in autumn are themes we will express in our desserts. Whatever the season we want our traditional desserts to transport you to a place of happiness and bliss. Recently, our Cat Manjus are very popular. Made with the traditional method, these cute delights have been featured on TV, magazines and newspapers. 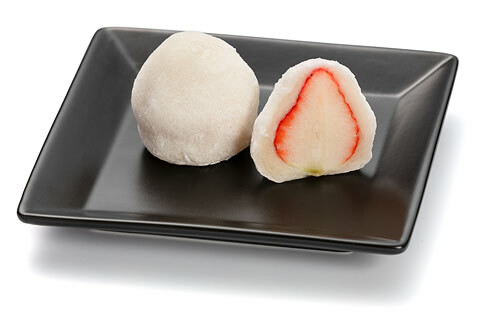 rice cake stuffed with fresh strawberry, is popular and only available from mid January to mid April. 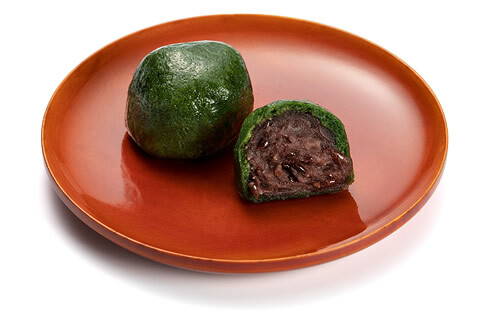 We also recommended our fragrant Kusa Manju, or Japanese yomogi herb rice cakes. They are stuffed with plenty of red bean and have a delicious soft texture. When you stop by you will never know what we will have to surprise you. COPYRIGHT © TOHOEN All rights reserved.